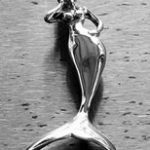 Sockeyesilver is the only anatomically-correct salmon silver jewelry available. Every piece is available in gold by custom order. Contact us for more information. Capt. Tom Eimer, Jewelry Artist, originally a native New Yorker, took early retirement after a career as a tugboat captain in the Caribbean, living on St. Croix in the US Virgin Islands for 34 years. When he was not escorting ships into the harbor, he could be found creating beauty at his jewelers’ workbench. 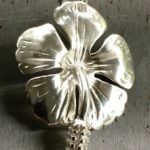 He was called back to service as a sea captain around the Hawaiian islands, and chose to settle in beautiful Hilo, bringing decades of jewelry artistry with him. 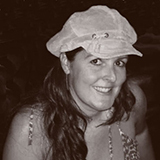 Tom enjoys the local Hawaiian culture, art, music, and food, surrounded by island bliss. He is an ocean lover who frequently dives or kayaks from local beaches. When not creating his beautiful jewelry, Tom plays a variety of musical instruments, and can often be found playing piano or melodica around the island. Capt. Tom’s designs are a reflection of his daily life in Alaska or Hawaii. 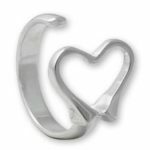 Above and below the sea, his works are treasures to have and hold in Sterling Silver and 14K gold.